Today at a special press conference at the Yerba Buena Center in San Francisco, Apple announced a new iPad tablet named as iPad Air that was Presented by Phil Schiller. 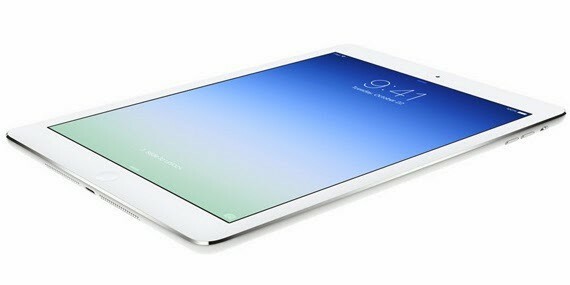 The 5th iPad generation comes with a 64-bit A7 processor, 20 percents lighter, 9,7-inch Retina display, and more. 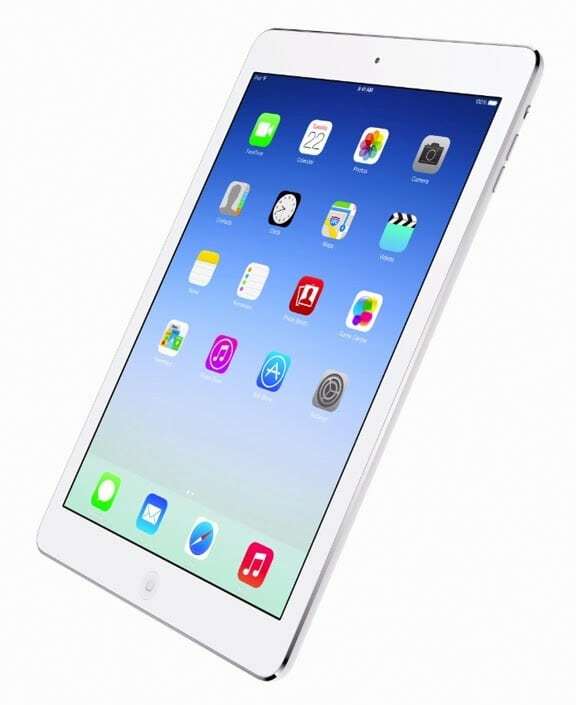 Read on to find out more about the new iPad Air. The design of the new iPad Air is very similar to iPad mini’s design. Due to different display technology, a 9.7-inch Retina screen tablet is thinner, with reduced dimension of the device from 9.4 to 7.5 millimeters and much better battery performances. From the previous iPad models, the iPad Air differs with thinner side frames of the screen. Angles of the rear cover are more rounded, and the device is 20% thinner and lighter than the iPad 4. The fifth iPad generation comes with an updated camera that allows you to make better photos. The model features a 5-megapixel iSight camera with 1080p video recording feature. The performances of the iPad Air are doubled, but the battery life is the same – 10 hours. The gadget is based on a 64-bit A7 chip paired with an M7 coprocessor, which is responsible for processing data from the motion sensor. The speed ​​of the device is increased in comparison with the previous iPad generation to eight times, and the graphics performance to 72 times. The price of the iPad Air will be the same as the previous version with a Retina display. iPad Air with 16 gigabytes of memory will cost U.S. $499. The same device, but with cellular networks support, cost $629. iPad Air will be available in the market on November 1 in more than 20 countries.